Medical device firm St. Jude Medical has received approval from the US Food and Drug Administration (FDA) for its new Proclaim Elite spinal cord stimulation (SCS) system. 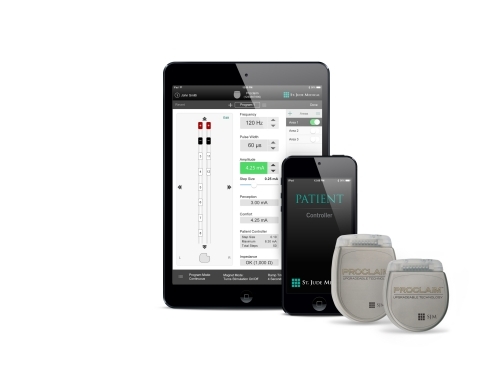 Proclaim Elite is claimed to be the first and only upgradeable and recharge-free SCS system for the treatment of chronic pain in the US. FDA approval also comprises conditional magnetic resonance (MR) labeling for the Proclaim Elite SCS system, which will enable patients to undergo head and extremity MRI scans. The upgradable platform of the system helps patients to access future SCS technology upgrades, such as new stimulation waveforms and software updates, without surgical device replacement. In addition, the approval was granted for the firm’s new clinician programmer that will enable clinicians to program and adjust their patient’s SCS therapy with an Apple iPad mini mobile digital device. St. Jude Medical neuromodulation medical director Dr Allen Burton said: "St. Jude Medical has a legacy of consistently advancing spinal cord stimulation therapy options to our ensure chronic pain patients are receiving innovative, patient-centric devices and optimal therapy to manage their chronic pain. "The new St. Jude Medical Proclaim Elite system bridges the gap between today’s state-of-the-art therapies and tomorrow’s groundbreaking innovations for chronic pain." In July this year, St. Jude Medical obtained FDA approval for its Invisible Trial System, an app-based and wireless neuromodulation programming system. Image: St. Jude Medical’s new Proclaim Elite SCS system for the treatment of chronic pain. Photo: courtesy of Business Wire.